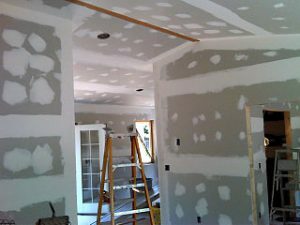 Since 2001 Central1Contracting has been providing quality sheetrock services to customers in Long Island. We offer clean, quick and reliable service as well as true attention to detail. We also do remodeling (or insurance claims) – Siding, roofing, windows, doors, water restoration, custom framing, bathroom remodeling, kitchen remodeling, decks, sheetrock, basement finishing, painting, gutters, wood flooring, tile or anything else you can think of.